Help your favorite plant grow tall and upright using a Panacea Plant Support. Placing a rigid support next to your potted or garden plant offers it strength, allowing it to grow upright and form a healthy root system. 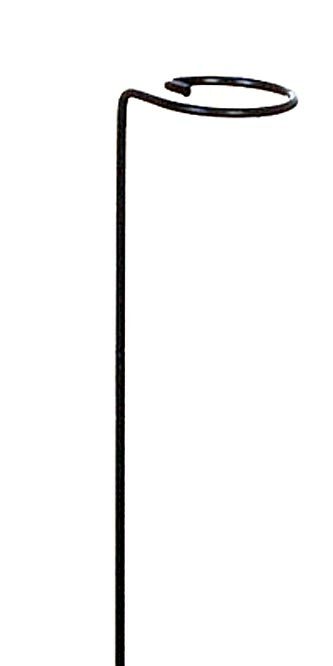 The 24" length of this durable, metal stake is perfect for use next to smaller flowers or herbs, and the 2" diameter top loop accommodates a bloom perfectly. As your plant grows, wind its tendrils around the stake for added effectiveness and support. The stake's green color blends with foliage, and the metal construction creates a lasting support. Ensure your plant grows upright and has a strong root system with this Plant Support. Note: This case pack includes 24 of the Panacea Plant Supports, 2" x 24".